If you’re like most of us, you probably spend a fair amount of time in the car or walking to work. While you love listening to the radio (who doesn’t, right? ), maybe you’ve found yourself wondering if your commute time could be spent in a more fruitful and engaging way, something more meaningful than just listening to songs you’ve heard too many times before. Maybe you have some free time and you’re wondering what to do with it. Perhaps you have an upcoming trip planned and you’re wondering how you can occupy your time during that long car ride? Well fret not–we have the answer: podcasts. Podcasts are a great way to turn what would be wasted time into a learning and engaging experience. As the new year rolls around, now is a great time to decide to dedicate more time to building your podcast listening library. Nonetheless, with podcasts growing in popularity (and in numbers), it can be difficult to decide which ones to listen to. That’s where our list comes in. We’ve done the hard part and curated a list of the top podcasts you should keep an eye on for 2018, regardless of whether you’re listening to your first podcast this year or if you’re a seasoned podcast listener. In this post, we have compiled our favorite podcasts for therapists, practice owners, and anyone who loves to learn. The topics range from insightful research in the field of psychology to the study of happiness to practical tips on how to better manage your practice. The podcasts in this section touch more broadly on the topics of psychology, mental health, and therapy. They are designed to be be enjoyed both by practicing therapists or by anyone who has a broad interest in the field of psychology or mental health. From the author of The Happiness Project comes a magnetic podcast about practice management, good habits, and practical advice. Co-hosted by her sister, Elizabeth Craft, you’re sure to laugh as much as you learn. Dr. Kaufman will take you inside the mind and the brain to explore a topic we still know so little about. With topics that center around behavior, creativity, and the mind itself, they pack a lot into each episode. An unscripted and deeply thought provoking podcast that wants to unpack the science behind self-help and expose what really matters and makes a difference in our lives, relationships, and minds. While research studies and psychologies most recent findings are always intriguing, it’s not always clear what the practical applications are for those conclusions. But Dr. Christian Jarrett from the British Psychological Society’s Research Digest wants to help change that by presenting you with the newest data in a digestible, 10 minute episodes. Shankar Vendanta will captivate you with ideas about the underlying patterns, bias’, and triggers that shape who we think we are, who we actually are, and who we are becoming. This podcast explores the things we don’t see that shape everything we do see and challenges you to think harder about the choices you make and what’s really driving them. With input from comedians, artists, friends and (some) doctors, Paul Gilmartin is on a mission to normalize what has for too long been stigmatized. He and his guests talk openly and honestly about the things that don’t get talked about in public, the struggles and pains and trauma of their own lives in order to bring to light the truth that the world is much more than black and white stories. The following podcasts are specifically geared towards building, managing, and making the most out of your private practice. If you feel like graduate school didn’t do quite enough to prepare you for the business side of practice management, that you have room to grow when it comes to marketing, or you want to someday own your own practice, then these podcasts are for you. There’s a lot they don’t teach you in graduate school about running a private practice, Joe Sanok is here to help. He gives you great, practical tips you can implement now to grow your practice, get more referrals, save money and enjoy the practice you’re working so hard to build. Learn about marketing, branding, consulting and much more. This is a podcast for aspiring, new, and current mental health private practitioners. Psychologist Melvin Varghese interviews successful therapists about the business side of private practice (i.e. how they get referrals, their best tips and strategies, and their daily habits, etc.) as well as the world’s top business, marketing, and social media experts. What you get are bite sized and actionable tips to guide your private practice and entrepreneurial journey. Juliet Austin is a marketing guru and Clinton Power is a renowned relationship counselor and they’re here to help you answer questions about the business side of your private practice. They don’t shy away from the hard questions and they’re determined to get you where you want to be. Perry Rosenbloom from Brighter Vision, the company you know for it’s expert practice website design, talks to successful therapists form around the country to gain insight into what worked for them, what they wish they’d known, and what they want you to know about building and running a private practice. If you’re looking for marketing and business education that you can implement sooner rather than later, learn from the experts here. Kate Campbell, PhD, LMFT and Katie Lemieux, LMFT built their six-figure private practice from the ground up and created their podcast to share the knowledge they’ve picked up along the way. They are dedicated to inspiring mental health professionals who are in the process of building their private practice from “startup to mastery.” By interviewing a diverse set of people: entrepreneurs, mental health experts, and successful practitioners, their podcast is a waiting wealth of information for any aspiring (or struggling) private practice owner. We hope the podcasts on this list provide you with some fresh inspiration for 2018. 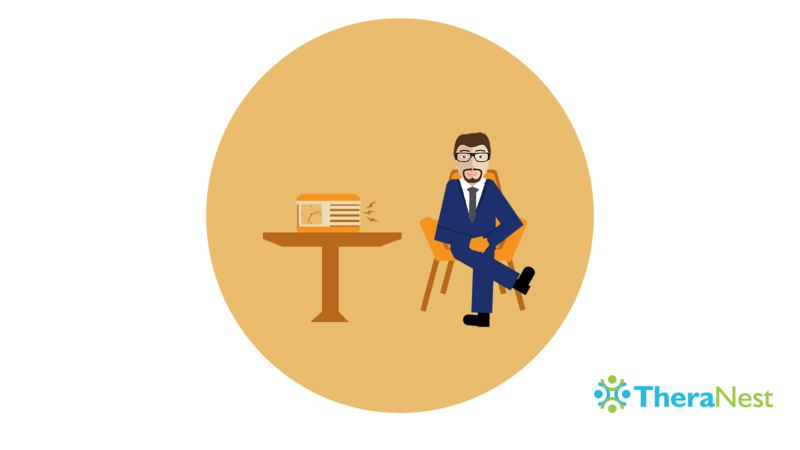 Podcasts are not only a great way to enrich your day-to-day life, but they can also provide you with knowledge you need to build a better private practice. 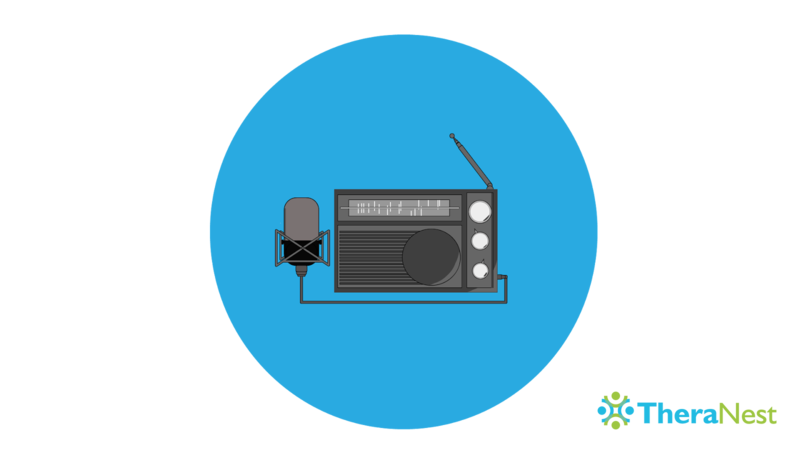 Each podcast on our list presents listeners with a unique experience–each host brings their own perspective and way of communicating adding to the information they are conveying. 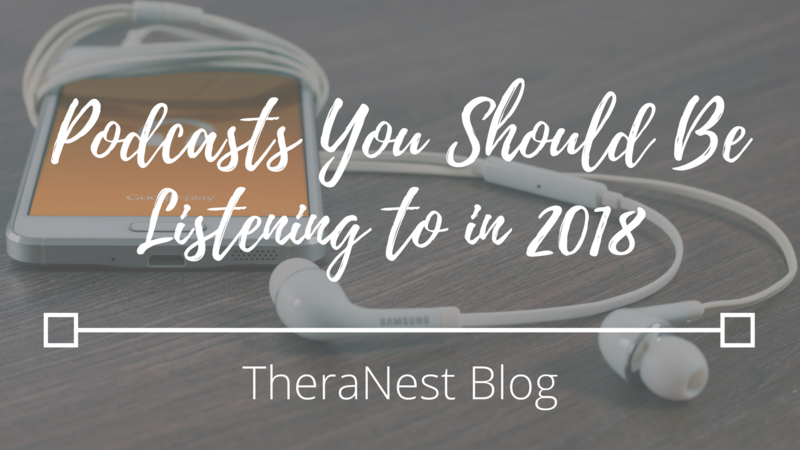 Podcasts allow access to a varied and wide breadth of knowledge easily–make sure you take advantage of all they have to offer in 2018.